In a few weeks, the City of Houston will be host to the Neighborhoods USA (NUSA) annual conference. The City of Houston's Planning and Development Department has taken the lead in planning the conference, and is working alongside other city departments, including the Department of Neighborhoods and the Mayor's Office of Special Events, to provide workshops and events that aim to build and strengthen neighborhood organizations. The conference will be hosted at the Hyatt Regency Houston, located in Downtown Houston, and will feature a number of speakers, tours and workshops, showcasing the neighborhood development work that has helped to create Houston's neighborhoods. Keynote speakers include Angela Blanchard, President and CEO of Houston's Neighborhood Centers Inc., and Kirbyjon Caldwell, Senior Pastor of Houston's Windsor Village United Methodist Church. Mayor Annise Parker will speak at the Mayor's Reception on Thursday night, May 21. NUSA will award winners for the organization's Neighborhood of the Year, Best Neighborhood Program, Who's Who in America's Neighborhoods, and (the highly coveted!) Neighborhood Newsletter Competition. On Seinfeld: Kramer's "Peterman Reality Bus Tour"
The conference will also be a chance for Houston to showcase all the developments that have been made in our city since the last time Houston hosted the NUSA annual conference. Before the conference formally begins, Michael Payne, Executive Director of BikeHouston, and Michael Skelly, of the Houston Parks Board and Houston Bike Share, will lead a group of 30 conference attendees will be led on a tour of Houston’s bayou and trail system, using Houston's bikeshare program, BCycle. There will also be a Houston City Bus Tour, provided by Houston City Tours. The following days will feature a number of workshop sessions, providing experience from experts related to grants and government programs, health and safety, neighborhood initiatives, the aging of communities, social and civic engagement, technology, and engaging the youth of our communities. You can see the conference's full schedule of events in the 2015 NUSA registration book. At the conclusion of Friday's conference day, attendees will embark on NUSA Neighborhood Pride Tours, an opportunity for neighborhoods from each NUSA Conference host city to showcase themselves. Houston Neighborhood Pride Tours include Downtown Houston, University Place, Westbury, the Houston Heights, Washington Avenue, Gulfton, the Near Northside, the East End, Museum Park, among others. I will have the pleasure of leading the "Millennials and Development in Houston" tour, showcasing some of the developments in central Houston that have been driven by millennials, and continue to attract millennials, including Downtown Houston, Midtown, and possibly East Downtown. Our tour will culminate in Downtown Houston, giving tour attendees a skyline view of Houston. As a millennial in Houston, I hope that I can provide attendees with a snapshot of the growth that Houston has seen in the last number of years. 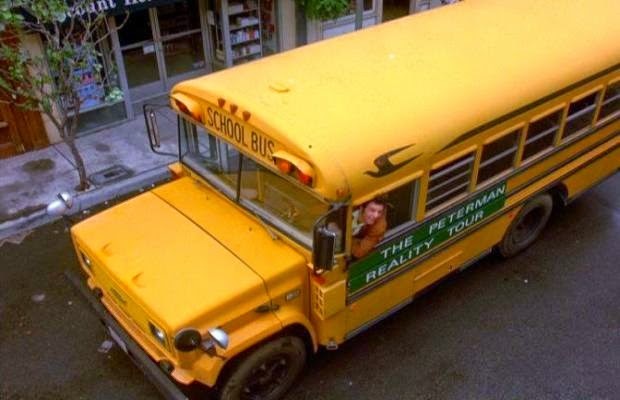 Seinfeld fans might recall the infamous "Muffin Tops" episode, where Kramer conducts his "Peterman Reality Bus Tour". I'm hoping to avoid any of the pitfalls that Kramer experienced, but hope to provide the same level of excitement and neighborhood pride.